Are We Appropriating Funds For Nonsense? R.J. Rushdoony: 00:00 Are we appropriating funds for nonsense? This is R.J. Rushdoony with a report on our threatened freedom. R.J. Rushdoony: 00:09 In recently years Senator Proxmire has called attention to various absurdities for while federal funds are regulatory appropriated. Tip O’Neill, Speaker of the House, earlier this year reported on some of the strange things he had written into the budget. O’Neill said, and I quote, “Once a doctor came down here to talk to us. He said the average dwarf grows only 46 inches high, and if we appropriated 45 million dollars for research, maybe that could be increased to 52 inches. So, I got the 45 million dollars into the budget.”. Now, perhaps if you and were dwarfs we might want to be six inches taller, but would we be justified in asking Congress for funds to study the problem? R.J. Rushdoony: 01:04 Millions of American men are growing blad. Is it the duty of Congress to appropriate funds for hair-growing research? Some women are very upset about being flat-chested. Should we appropriate millions of dollars to research the subject? Wouldn’t it be cheaper to suggest that they look for men who prefer flat-chest women, as some do? In other words, why tax our fellow citizens for our problems? Why make purely personal concerns the subject of national legislation and taxation? Of course, maybe of these appropriations are sought the the scientific establishment, as a means of providing them with research funds and facilities. It was after all, not the dwarfs, but a doctor who approached O’Neill, for funding research on the matter. Most likely, the major beneficiary of the research will be the scientific establishment, as is usually the case. R.J. Rushdoony: 02:04 Not surprisingly there is a growing distrust of the scientific establishment because of it’s plundering of the public treasury for a vast variety of sometimes trifling causes. Of course, funding scientific research is a part of our national elitism. Together, with this funding of research we have the funding of the arts, because we have decided that culture, defined as the arts, is important. Why not then fund baseball and make millions of American’s happy? Or football, and sports on television? Films and television are an important aspect of popular culture. Why not fund them through congressional appropriation? Or better, why not stop funding all of them and let the private sector fund whatever it wishes to see prosper? Why should we not have a freedom from constricted and compulsory support for causes of no concern to us, or hostile to our own interests and ideas? Why not try freedom? 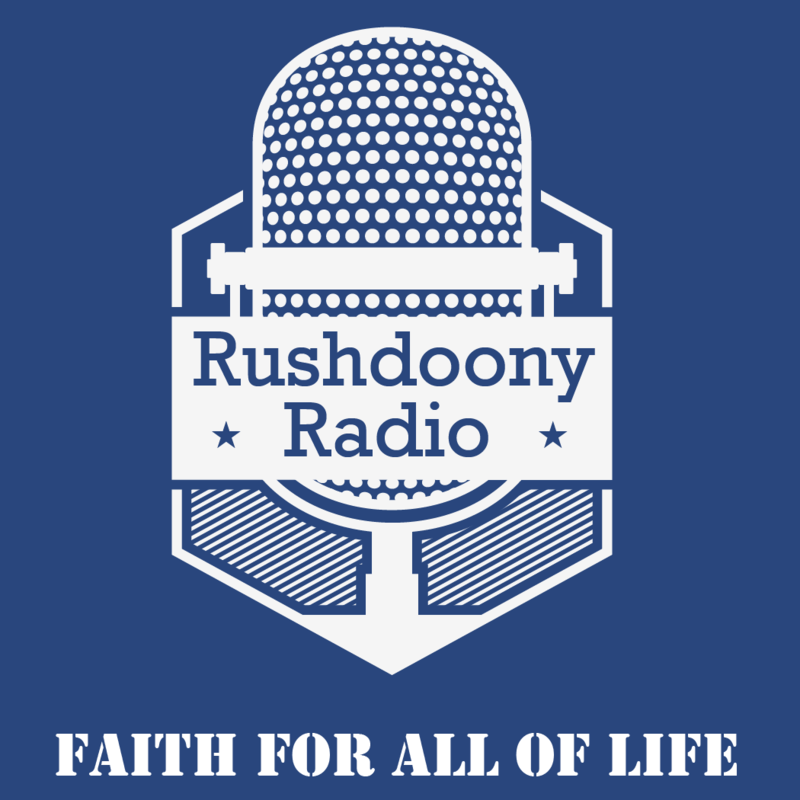 R.J. Rushdoony: 03:12 This has been R.J. Rushdoony with a report on our threatened freedom.